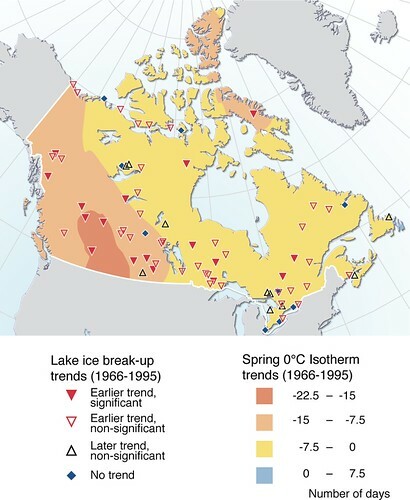 In Canada, recent evidence indicates a shortening of the freshwater-ice season over much of the country with the reduction being mainly attributable to earlier break ups. These trends match those in surface air temperature during the last 50 years. 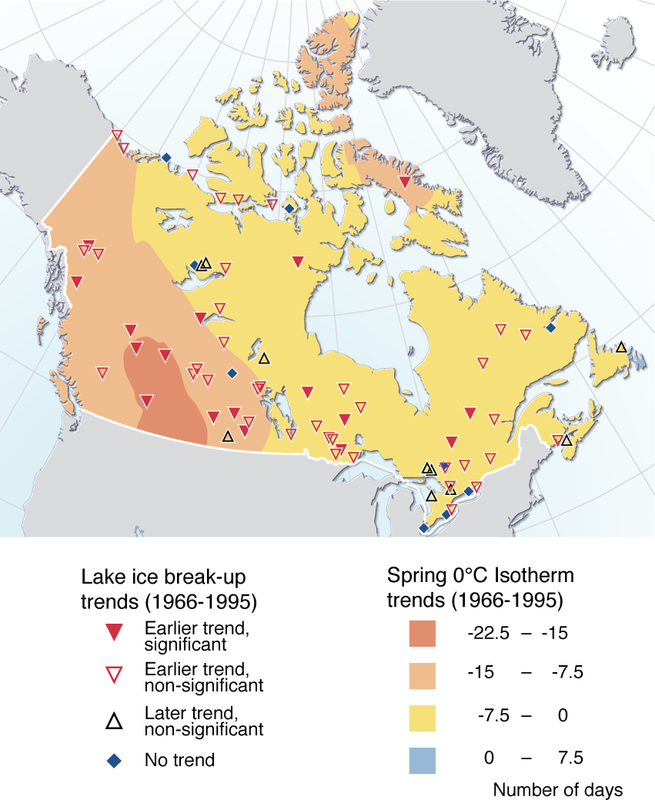 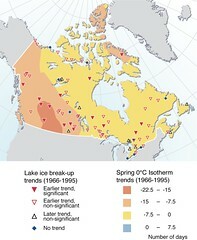 For example, similar spatial and temporal patterns have been found between trends (1966 to 1995) in autumn and spring 0°C isotherms (lines on a map showing location of 0°C air temperatures) and lake freeze-up and break-up dates, with generally significant trends toward earlier springs and earlier break-up dates over most of western Canada and little change in the onset of cooler temperatures and in freeze-up dates over the majority of the country in autumn.